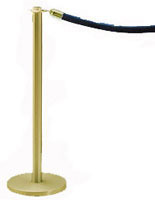 This stantion is made from polished brass and designed for use as a receiver post, the last pole in a traditional rope crowd control barrier system. 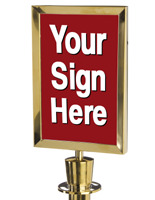 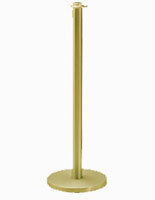 Each metal stanchion stands 38.5" tall and has an elegant bell-style rounded base. 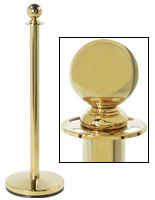 The high-quality stantion receiver post features an elegant brass finish that will complement any color barrier, such as classic red velvet rope. 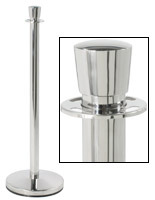 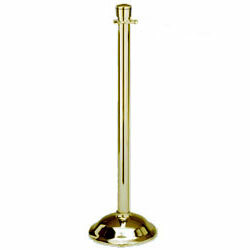 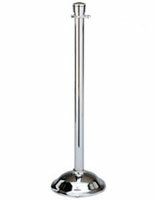 The 38.5" tall stanchion pole has a weighted 11.5" diameter bell-shaped round base. 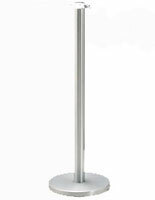 This sturdy 22-lb receiver post is an ideal way to end or anchor a series of crowd control barriers. 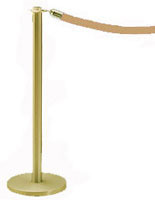 This polished brass bell-base stanchion is perfect for creating traditional post-and-rope systems with a classic look.